This week, I had the opportunity to speak with Vincent Altieri, CPA, of Berdon LLP. Vincent’s responsibilities include audit management and tax services for a number of major commercial real estate portfolios in New York City. Vincent is also sought after by commercial landlords to conduct acquisition due diligence, lease reviews, and REIT compliance. 1) In your position as an advisor and audit manager for major New York commercial landlords, you get a unique perspective from the landlord’s vantage point. How do you see landlords changing to cater to the wants of Millennial tenants? Good question Albert. Landlords today face specific challenges, especially in updating some of the more aging properties. They are constantly striking a balance between investing money in modernizing tenant space and keeping lease revenue streams steady and at market. As long-term tenants vacate, landlords are taking the opportunity to update and renovate. One specific area is the decision to pre-build the space and market the space as such, or to allow the tenant to choose their style and design while minimizing the construction time to get tenants in the space earlier. Landlords are getting more involved in construction, either by offering these types of services themselves or through direct involvement (with general contractors). Owners are also evaluating and investing money in new technologies to make their spaces more attractive. Many have built out space to offer virtual reality tours, and are using this tech to give tenants a detailed visual of what the space will look like upon completion, and offer the flexibility to make modifications on the fly. 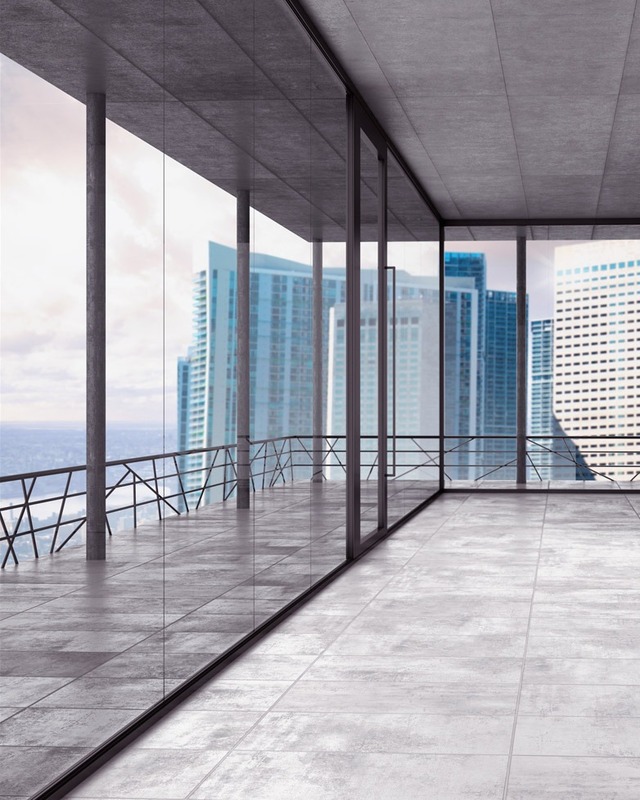 We also see a lot more common area investment, either in shared conference centers and reservation systems, amenity space which can include rooftop decks with stunning views, meeting places for lunch or other activities, and other forms of entertainment. Landlords are also investing in having food trucks or other food vendors on site to offer tenants convenience. We are also seeing changes in specific layouts, with more open areas, meeting sites, social areas with games or activities, offering their tenants space for collaboration and interaction. 2) In my trade as a Tenant Rep, we strive to maximize options for our clients, which consist of mostly mid-sized businesses. In addition to more flexible physical spaces, how are landlords becoming more accommodating to tenants in this increasingly tenant-driven market? Are they more willing to consider expansion rights and shorter lease terms? Typically landlords prefer long-term leases with consistent revenue streams. We see a trend of Landlords offering more concessions (spending more in TI) to attract long-term tenants. Typically these costs average out over the lease period and result in increased revenue and offer less risk. Given the instances where there is larger space with vacancies to be filled, (let’s say for example a large tenant who occupied a good portion of the building’s lease expires and they vacate), and there are issues finding a large tenant to fill that space, we have seen landlords bifurcate their space into smaller, one-floor or partial floor rentals. Given the size of those spaces, they do tend to attract smaller and start-up type companies, with shorter lease terms, the option to expand the space to meet their needs as they continue to grow. Most of the time these trends are situational. Competition requires landlords to consider all these options, however they will be less willing to invest money in big tech and luxury buildouts for tenants who only plan on occupying these spaces for short-term periods. 3) Where do you see the Manhattan office market in 2018? Are you seeing capital budgets increasing, decreasing or stay the same at existing properties? Capital budgets are definitely increasing in the concession market. In particular there has been an up-tick in landlords acquiring Class B buildings and investing money to turn those properties into Class A. With these types of conversions, landlords can garner higher rents and their ROI’s have been positive. Much of the spending has been driven primarily by a strong finance market, offering low affordable interest rates with the option to refinance as both market values and rents increase. Additionally, new tax regulations permit deduction of certain capital expenditures which required capitalization in the past, which has also helped to increase spending. In addition to concessions, the market is growing at a very fast pace, with many new development projects. In order to keep up with growing demands and new technologies, many landlords are acquiring properties and doing total rebuilds or full renovations. This is evident in projects like One Vanderbilt, Hudson Yards, the new WTC, Essex Crossing, and others. This has been driving fierce competition in the Class A office market, while supply and demand in the Class B mid-size office market has remained more relatively stable and unaffected by these projects. The market is evolving into insular projects and neighborhoods with multi-purpose developments. I envision a future NYC where people live, work, shop, and socialize all within the same eco-system with minimal commutation time. Since people nowadays are spending less time in their offices (with the advent of more teleworking), the designs are more consistent along the lines of work-live-play, and offices are becoming more central meeting locations. Keeping everything insular allows more flexibility for the average person to spend less time commuting and more time working and doing the things they love best, whether its spending time with family or attending social events. It’s going to be an interesting ride.